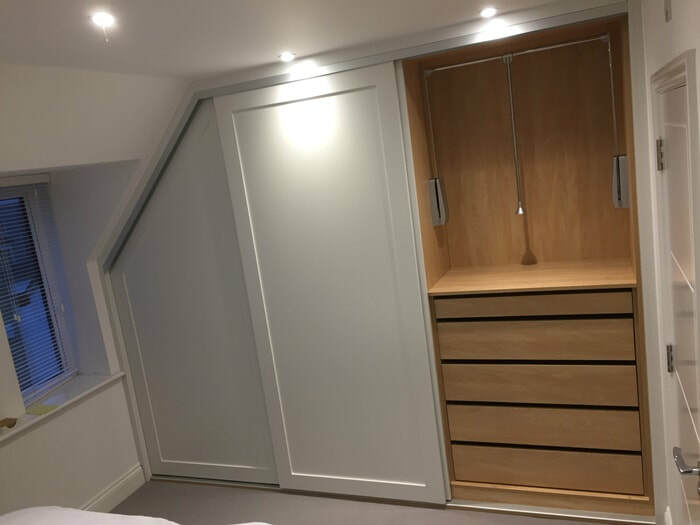 Angled shaker style panelled wardrobe with 3 full height doors. 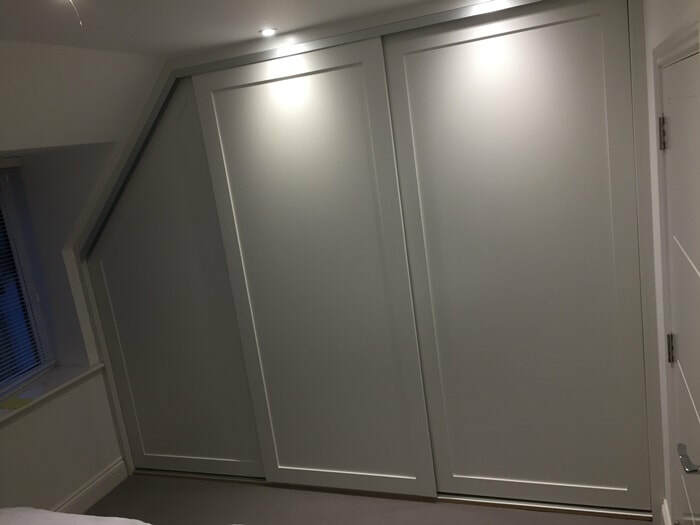 Doors finished in a satin sprayed white finish. Interior in an oak effect with pull out hinged mirror, pull down hanging rails , drawers etc. 2400mm high x 3100mm wide x 680mm deep. Soft closers on doors , drawers and pull down rails.